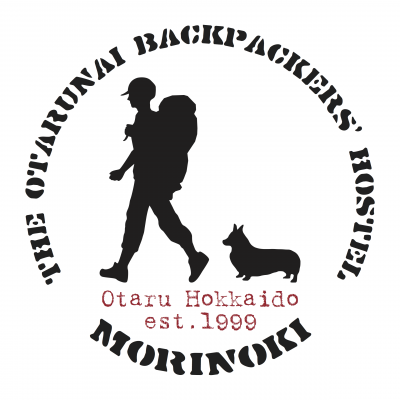 The last day stay in Morinoki.Tomorrow is the last day working as well.Thank you for given this chance to work here.It was a really great time.Thank you Mayumi and Masa take care of me these days , I think I have many things with some mistake ,but you two are really friendly and kind helping me with everything.In the future , if I have chance I will come here to be a helper again. 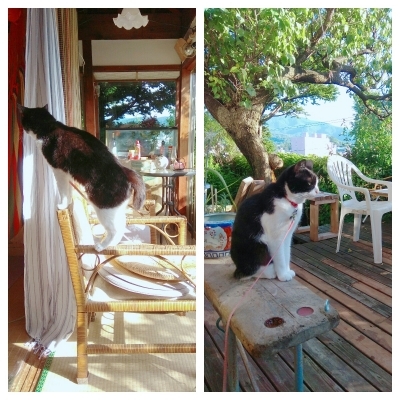  Today is a special day I went to 小樽築港. 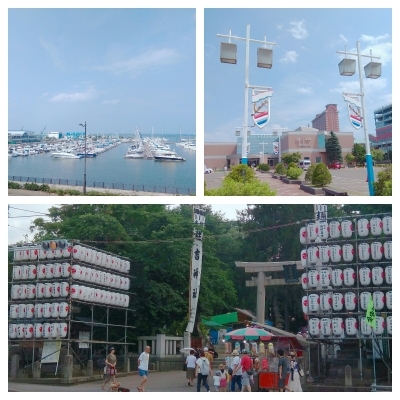 The sky and the sea are really blue and the weather is really great today.There is also a 石原裕次郎の memory hall.The most special thing is I went to the 住吉神社の鎮座百五十祭.There are many people everywhere to join the まつり.This a wonderful thing that I have ever seen. 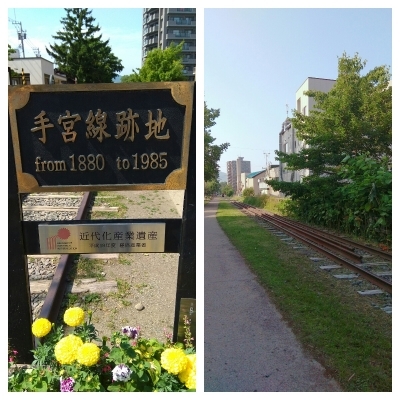 This is the third day I start to work.Everyday I finish working I will go to take a walk around Otaru.Today I go to the 手宮線遺跡 to see the old railway for the train , and also walk through the old streets , I saw the old banks and old structures.Through three days sight seeing , I have already walk all around Otaru , so I decide to go to 錢函 tomorrow , I think it must be a beautiful place as well. 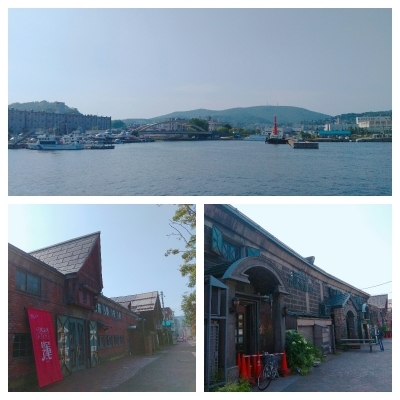 Today is the second day I start to work , everything is well,doing everything makes me know more and be more confident to finish every work.Because of the hot summer , when I finish my work at the morning , I decided to take a rest and go out later.After taking a rest , I went to Otaru harbor to see the beautiful scenery of the sea.I saw many old depots and lots of cargo ships around the Otaru harbor.Walking slowly through the streets I can feel the history atmosphere around me.I am really enjoy the vacation here. 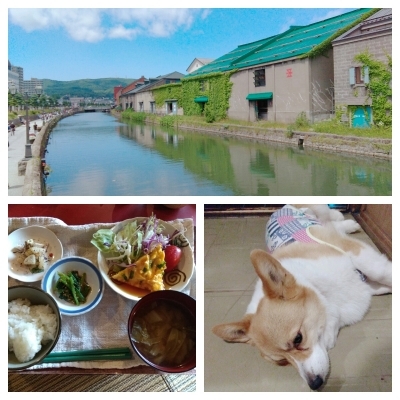 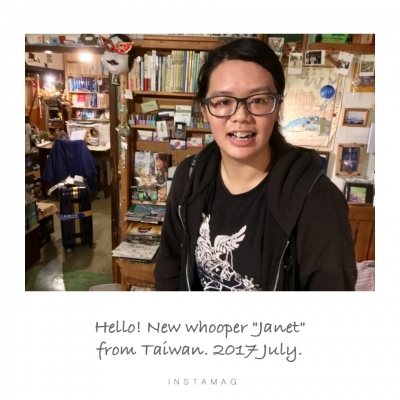 I am from Taiwan.I love to travel.I have been to Hokkido for many times,but this is the first time I come here alone.I am really nervous at first,because of the different things to do as usually I come to Hokkaido.Masa is really friendly,breakfast is really good to eat,and hug is really cute.Thank you for given me this chance,I think I will have some different experience and have many unforgettable memories here.